Finished in Bianco Italia and complete with a livery that pays homage to the Italian flag, this unique coupé features all-new bodywork, handcrafted in aluminium with composite carbon-fibre bumpers front and rear. 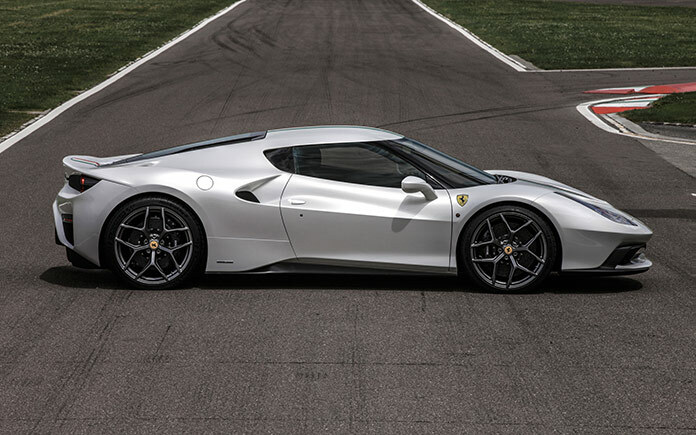 The Ferrari 458 MM Speciale also boasts a new side air scoop, one of the most distinctive elements in an extensive revision of the aerodynamic package. 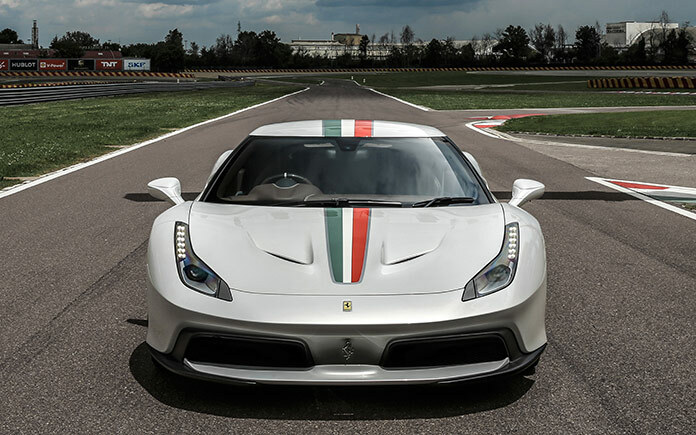 The radically modified aerodynamic solutions are already evident on the front of the car, where the bodywork hugs the coolant radiators which are more steeply inclined and mounted closer together than on the 458 Speciale. The side intakes were devised to allow direct additional cooling of the engine bay to compensate for the different rake of the rear. 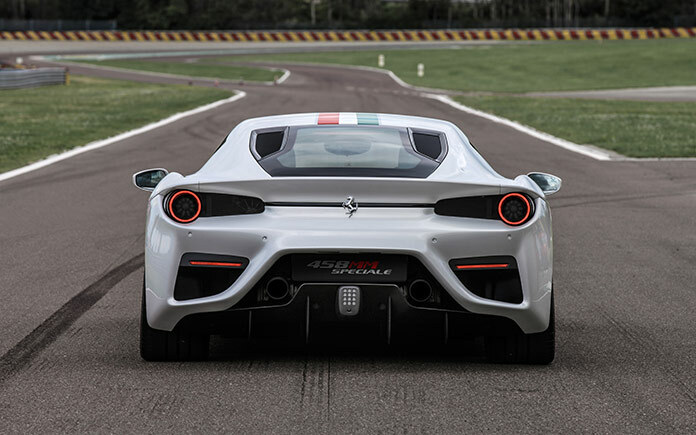 The tail features a spoiler which balances the downforce evenly and also completes the theoretical beltline that sweeps back along the side from the front wheelarch, giving the car a powerful and athletic stance. 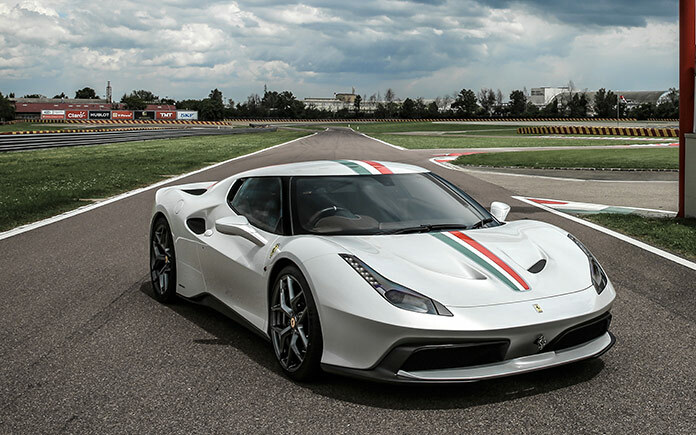 The Ferrari 458 MM Speciale sits on specific wheels exclusive to this very unique car, and an additional touch is the adoption of modified front and rear light clusters. Inside the cockpit upgrades include to an enhanced audio system and trim definition to match the owner’s specific wishes. The Cioccolato leather upholstery with white stitching is elegantly accented by a slew of neat touches such as the satin white rings around the tunnel controls.